One of the hottest controversies in educational circles today concerns the practice of “tracking,” or grouping students by ability, beginning in the early grades. 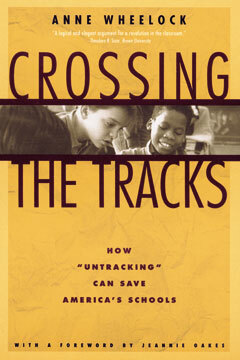 With chapters on parental involvement, teacher training, curriculum reform, student aspirations, and examples of programs and practices that have been tried across the nation, Crossing the Tracks is the first book to outline a specific course of action for parents, teachers, administrators, and others ready to join the “untracking” movement. Anne Wheelock has twenty-five years’ experience as a social worker and advocate for children and is the author of several books on education and public school reform.